Goodreads says, "From the winner of the Catherine Cookson Fiction Prize, this mesmerizing, suspenseful, and richly atmospheric tale of time travel draws us into the heart of a heroine we won't soon forget... The first time Julia Beckett saw Greywethers she was only five, but she knew at once that it was her house. Now, twenty-five years later, by some strange chance, she has just become the new owner of the sixteenth-century Wilshire farmhouse. But Julia soon begins to suspect that more than coincidence has brought her there. As if Greywethers were a porthal between worlds, she finds herself abruptly transported back in time. Stepping into seventeenth-century England, Julia becomes Mariana, a beautiful young woman struggling against danger and treachery, and battling a forbidden love for Richard de Mornay, handsome forebear of the present squire of Crofton Hall. Each time Julia travels back, she becomes more enthralled with the past, falling ever deeper in love with Richard...until one day she realizes Mariana's life threatens to eclipse her own--and that she must find a way to lay the past to rest, or risk losing a chance for love in her own time." Julia Beckett is leaving her London life behind for a quiet countryside existence in an old and very charming house called Greywethers. But this isn't just any old house. She first laid eyes on this house when she was a young child and something made her declare it "her house." Then many years later, she happens upon it again and knows that she must buy it since it is for sale. At first she thinks it's a coincidence, but as time progresses, she realizes that there may be more to her feelings for the house than she originally thought. In fact, since moving to Greywethers, she occasionally slips back in time to seventeenth century England where the plague is a very real threat, there's a dangerous relative up to no good, and even a forbidden romance. She finds herself not as Julia, but as Mariana, a young beautiful woman who is living with her domineering uncle. In the 17th century, she meets and falls in love with Richard de Mornay, the lord of Crofton Hall. Due to their different stations in society, their love is forbidden, but the heart wants what the heart wants. Meanwhile in present day, Julia is getting acclimated to country life and meeting a cast of characters. Her neighbors tell her all about the history of her house and she even gets to know the current owner of Crofton Hall, who just so happens to be a descendant of Richard de Mornay. 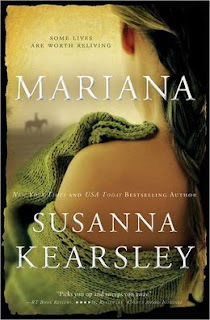 Susanna Kearsley's Mariana is a charming historical novel that has everything fans of Diana Gabaldon's novels will enjoy. When authors tell stories with parallel story lines I usually find myself drawn to a particular character's story over another and that is the case in Mariana. While Julia's story was compelling enough, I was very interested in Mariana's. 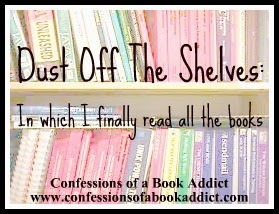 It's Mariana's story that really kept me glued to the pages. Her uncle is a true villain and I couldn't wait for her to escape his grasp along with her aunt Caroline whose life is miserable, thanks to him. Her uncle is a crazy religious zealot with a dash of ignorance and side of violence. I truly loathed him and in turn, I was on the edge of my seat every time Mariana interacted with him. I also enjoyed her forbidden romance with Richard despite her uncle's disapproval. Also, I liked that Julia left her London life behind for a more quiet existence in the country and I enjoyed the details of village life in Mariana. I mean who doesn't dream of getting away from it all and living simply? The different characters she meets are all very interesting as well as the various locations, such as the pub, The Red Lion. My only issue with Mariana was that I had to suspend my disbelief frequently throughout the novel. I wasn't as completely sold on things as I usually am when I read time slip/time travel novels. Nonetheless, I still enjoyed it. Kearsley's historical novels have proven to be very compelling, especially for fans of Diana Gabaldon. 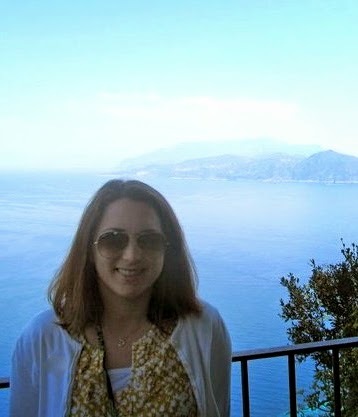 While I enjoyed The Winter Sea more than Mariana, I was still pleasantly surprised. If you enjoy time travel/time slip novels, with romance and a touch of the paranormal along with some fantastic historical details, you should definitely give Mariana a try; it will sweep you away to a different time and place. Great review! I liked this one too though I prefer The Winter Sea.I will have to reread this sometime. Thank you, Christina! Yes, I enjoyed The Winter Sea a bit more. I think I'll read The Rose Garden next. 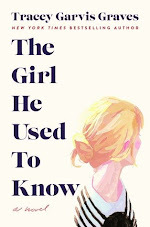 Have you read that one? Thanks for visiting.